Dr. Sofocleous accepts the following list of insurance providers. Select your insurance provider to see more details. I am an interventional radiologist specializing in interventional oncology, caring for people with cancer. I have been practicing interventional radiology since 1998 and joined the Interventional Radiology Service at Memorial Sloan Kettering in 2002. As an expert in interventional oncology, I use minimally invasive, image-guided procedures to diagnose and treat patients with cancer with minimal side effects, complications, and discomfort. My expertise include the treatment of primary and metastatic liver and lung cancers using thermal ablation (radiofrequency, microwave, cryoablation) or other non-thermal sources of energy (NanoKnife ® or irreversible electroporation). I also specialize in catheter-directed therapies that treat malignant liver tumors that cannot be removed through surgery or destroyed locally (ablation). These treatments include embolization techniques that use beads alone or combined with chemotherapy or radiotherapy delivered directly into liver tumors. These beads combine the therapeutic effects of radiation (radio embolization or selective internal radiation therapy) or chemotherapy (DEB-TACE or chemoembolization) with that of small particle tumor microvasculature embolization. These approaches offer the best therapeutic option to people with cancer who are not candidates for surgery or ablation. I lecture nationally and internationally on topics such as embolization, radio embolization, and ablation of liver tumors — particularly metastases from colorectal, breast, or other primary cancers as well as hepatocellular cancer. I have also lectured extensively on ablation as a treatment for primary and metastatic lung cancers. I am involved in several multidisciplinary clinical, research, and educational activities at MSK. 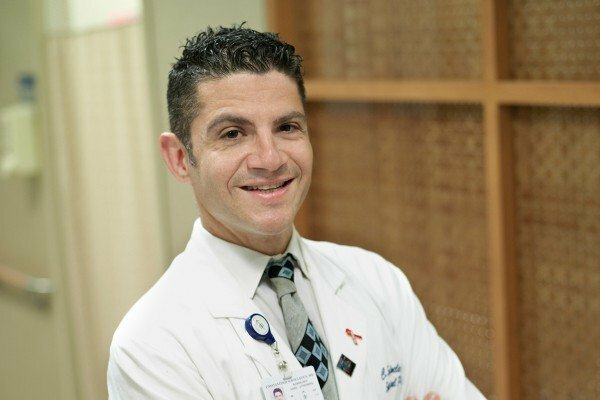 As a faculty member on the hepatobiliary, colorectal, and solid-tumor teams, I work very closely with a team of hepatobiliary, colon, and thoracic surgeons; gastrointestinal, breast, and other oncologists; and gastroenterologists and radiation therapists to determine the most appropriate treatment for patients with primary and metastatic cancer of the liver and lung. I am also a current member of the Institutional Review Board, which is responsible for reviewing all human subjects’ related research and monitoring ongoing research conducted at MSK to ensure compliance with regulations. My research interest is the assessment, validation, and development of biomarkers and surrogate imaging biomarkers. These can predict outcomes and help stratify patients undergoing ablation and imaging-guided locoregional therapies of tumors in general, and particularly in colon cancer metastases. I have published extensively on the treatment of colorectal, neuroendocrine, and breast cancer liver metastases treated by image-guided therapies including radiofrequency and microwave ablation, irreversible electroporation, small particle bland embolization, and radio embolization or selective internal radiation therapy with Yttrium 90 microspheres. I have also studied and published on the cellullar effects of ablation on liver tumors, the use of embolization to salvage infusion pumps in patients with colon cancer metastatic to the liver, and the use of drug eluding beads (DEB-TACE) to treat primary liver cancer. Currently, I am the MSK site primary investigator, along with medical oncologist Andrea Cercek, of a new multi-institutional, randomized controlled trial where we assess the value of treating people with colorectal cancer liver metastases with Yttrium 90 glass microspheres in addition to standard of care second-line chemotherapy. I am also the primary investigator of an ongoing study examining tissue before and after thermal ablation of colon cancer liver metastases to detect predictive biomarkers that can impact treatment outcomes. This study was initially supported through an NIH R21 grant and showed that biopsies after radiofrequency ablation can predict outcomes. Despite my strong interest in research, my main focus remains caring for patients. Every cancer has a unique identity, so treatment must be tailored to each patient and each situation. The environment and philosophy of MSK allow me and my partners in interventional oncology and image-guided therapies to offer each patient the best possible care for their cancer. The combination of excellence in clinical work and research also allows us to design important and pivotal clinical trials that directly translate in the best patient care. Visit PubMed for a full listing of Dr. Sofocleous’s journal articles. Pubmed is an online index of research papers and other articles from the US National Library of Medicine and the National Institutes of Health.